Play These PS3 Casino Games For Free - A Great Way To Learn Poker! For gamers out there who eventually wish to step up to the plate and jump into the world of online casinos, playing console casino games for free is a great place to start out and gain some experience. Playing PS3 casino games for free can offer the excitement and thrills of online Poker just like playing in a real online environment and now it's possible to enjoy Poker and various other games all thanks to some of the new video games that have recently been developed. There are popular games now available for both the Xbox 360 and also for the Playstation 3, also one mustn't forget about the Xbox One and Playstation 4, lets dive in and take a look to see what's out there. With Playstation 3, there is a wide and varied selection of gambling and casino games to play. It's almost impossible to know where to start, so why not with one that's already been tried and tested by thousands of players that is hugely popular? If that be the case, then a good place to start would be with Poker Night 2. Known for its impressive graphics and its accessibility, Poker Night 2 would definitely be the best place to start and is available for the PC, Xbox 360, PlayStation 3 and PlayStation Vita. 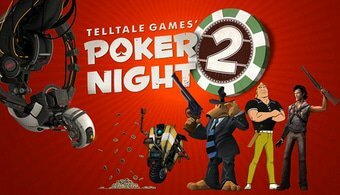 Published and developed by Telltale Games, the first version of Poker Night allowed the player the opportunity to participate in Poker tournaments alongside well known video game personalities such as Max of Sam and Max fame, also the iconic Strong Bad. 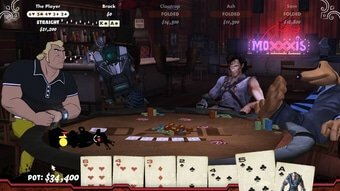 Now with Poker Night 2, as well as competing with one of the leading characters of Team Fortress 2 from the earlier game, one can also pit their wits against Sam & Ash Williams who are also added to the line-up. Here's the fun place to get an understanding of the basic rules of Poker, before trying to tackle a real game of Texas Hold'em. One can get a taste of some of the lively personalities one's likely to encounter, although maybe not on such an extreme level! For players of the Xbox 360 there's also some pretty nifty casino games that can be played like Casino Nights by GZ Storm Games. Here one can move into the world of popular games like slots & Blackjack, also Poker games where one can strategize and practice just like on other PS3 casino games for free. Practice, practice, practice, then one can be prepared for the real live fun that awaits, ok?